Michael Blake is a Professor of Philosophy, Public Policy, and Governance at the University of Washington. 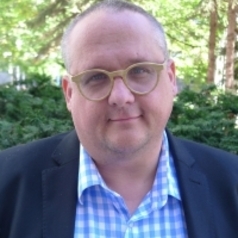 Until 2016, he was the Director of the UW's Program on Values in Society. He received his bachelor degree in Philosophy and Economics from the University of Toronto, and a PhD from Stanford University. He obtained some legal training at Yale Law School, before running away to become a philosopher. He is jointly appointed to the Department of Philosophy and to the Daniel J. Evans School of Public Affairs.